Info: The Brooks Smokehouse is located behind the Lippitt farm house. 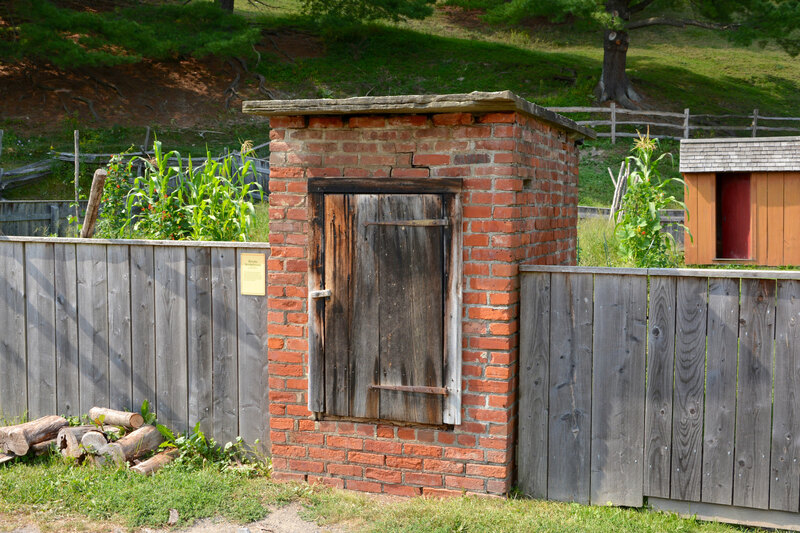 It is a simple brick structure with a flat stone roof and is approximately 6' high. Its flat roof structure is unusual as most smokehouses of the time had gable roofs or very rarely a rounded roof. Another odd thing about this smokehouse is it small size, as it seems rather impractical for anything but the smallest of meats. Provenance: The Farmers' Museum acquired the smokehouse from Charlotte Spicer Layton.